On Monday copper for delivery in March declined more than 1% in New York at $2.6545 per pound or $5,855 a tonne amid a general weakness on commodity and financial markets gripped by uncertainty surrounding the Trump administration's impact on the global economy and geopolitical stability. Last week copper touched its highest level since June 2015 above $2.70 a pound. Despite the pullback copper is still up 37% from near-six year lows struck this time last year, with most of those gains coming in the last four months. Better prospects for the bellwether metal is nowhere more evident than on derivatives markets and the shift in positioning of large-scale derivatives speculators such as hedge funds. 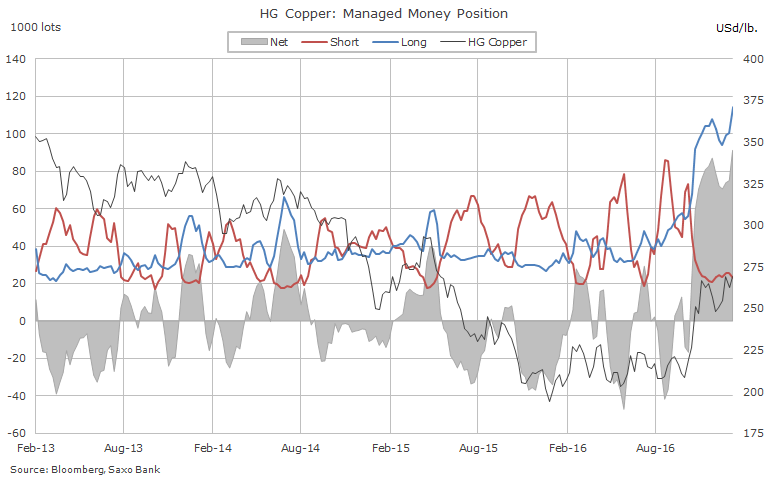 While continuing to reduce bullish gold bets, on the copper market hedge funds have pushed long positions – bets on higher prices in future – to new heights. According to the CFTC's weekly Commitment of Traders data up to January 24 so-called managed money investors have taken net longs to a fresh recored high of just over 91,000 lots. That's the equivalent of nearly 2.3 billion pounds or more than 1 million tonnes worth around $6 billion at today's prices. 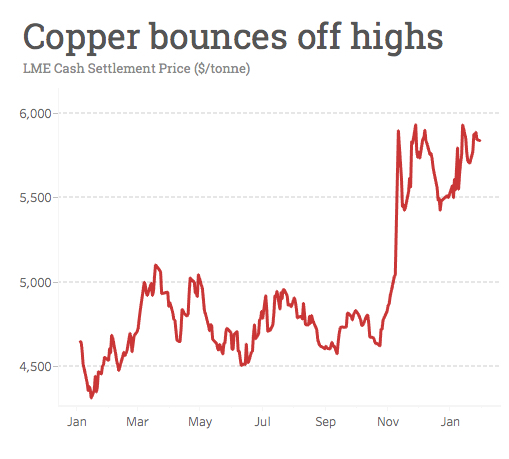 It shatters the previous peaks achieved mid-2014 when the copper price was above $3.20 a pound and represents the equivalent of $9 billion swing from 2016 second quarter net short position (bets that copper can be bought back cheaper in future) of 1.2 billion tonnes. The affected ports include Patache, which handles exports of copper concentrates from the giant Collahuasi mine, and Iquique, through which Collahuasi, Teck's Quebrada Blanca and BHP Billiton's Cerro Colorado mines export copper cathode. 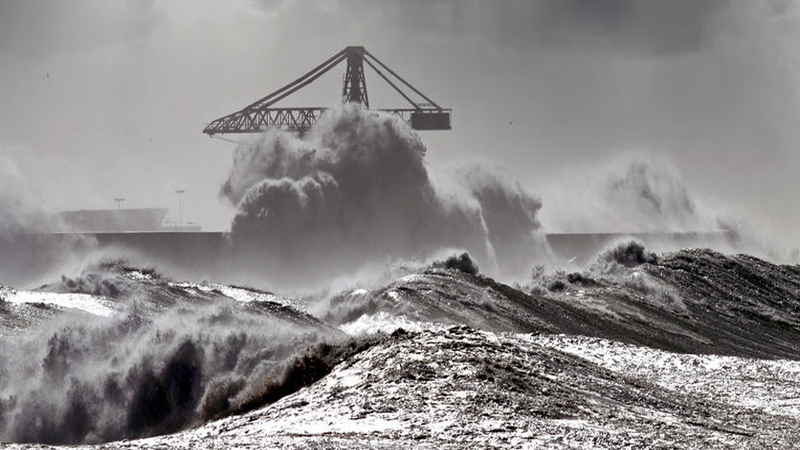 The weather has also forced the closure of Mejillones, which handles copper cathodes from many copper mines in the region, including state-owned Codelco and Freeport McMoRan's El Abra. The Port of Antofagasta used by BHP Billiton's Escondida mine, the world's largest copper operation, remains open according to the report. The copper price has also been boosted by a possible production outage at Escondida. The current collective agreement with the main union at the mine expires at the end of January and according to a Reuters report workers have rejected BHP's latest revised offer and union leaders have told members "to vote for a strike and prepare for an extended conflict." The previous labour deal was signed four years ago when copper was trading around $3.40 a pound. BHP expects full-year production at Escondida of 1.07 million tonnes, which gives the mine a nearly 5% shares of global mine production. Given Escondida's size a prolonged outage could have a meaningful impact on the price. BHP's copper production for the half year to end December fell 7% to 712,000 tonnes due to a power outage at its Australian Olympic Dam operations in September-October. BHP also cut full year guidance by 40,000 tonnes to 1.62m tonnes. Chile produces 28% of the world's copper and the country's output dropped by 3.9% in 2016, mainly due to lower production at Escondida and Anglo American Sur. Production in the South American nation is expected to grow by 4.3% according to the Chilean government forecaster adding that Escondida would account for almost all of the expected increased output.